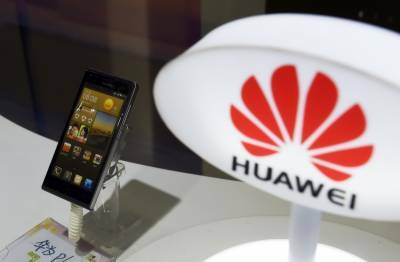 Hong Kong (Reuters): Telecom equipment and smartphone maker Huawei Technologies Co Ltd [HWT.UL] of China reported on Friday that net profit edged up just 0.4 percent last year, its slowest annual growth since 2011. Huawei, the world's No. 3 smartphone maker behind Apple Inc (AAPL.O) and Samsung Electronics Co Ltd (005930.KS), said net profit rose to 37.1 billion yuan ($5.3 billion). Strong competition in China's smartphone market from previously little-known domestic rivals OPPO and Vivo cost Huawei its top spot as the biggest vendor in the domestic market last year. Global revenue climbed 32 percent to 521.6 billion yuan, slightly slower than 35 percent growth a year earlier. Revenue from its consumer business group rose 44 percent to 179.8 billion yuan ($26 billion), but lagging the company's forecast of $30 billion made a year ago. It shipped 139 million phones last year, up 29 percent last year compared with a flat global smartphone market. That just missed an earlier target of 140 million. Revenue from its carrier business group, which competes with Sweden's Ericsson (ERICb.ST) for the top spot globally for telecommunication equipment, rose 24 percent to 290.6 billion yuan thanks to demand for 4G communications equipment. Revenue from its enterprise business group climbed 47 percent to 40.7 billion yuan. Spending on research and development reached 76.4 billion yuan.